ST. GEORGE — The efforts of Kaibab Band of Paiutes members and neighbors helped contain a fully involved structure fire that burned through a home Friday afternoon, preventing the blaze from spreading. 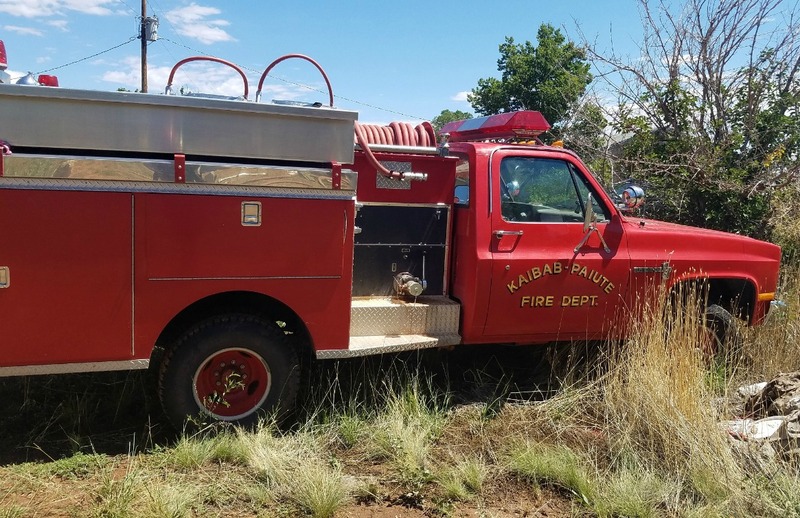 Shortly after noon, Kane County firefighters and emergency personnel were dispatched to a house fire in North Kaibab Village on the Kaibab Paiute Tribal Lands. While firefighters were en route several tribal housing personnel and neighbors used the Kaibab Paiute Fire Department’s brush truck and hoses hooked to a fire hydrant located near the front of the burning structure and began hosing down the blaze burning intensely through the home. Kane County firefighters arrived on scene and continued fire fighting efforts until the blaze was extinguished and were soon joined by fire crews dispatched earlier from Hildale/Colorado City Fire District and the Fredonia Fire Department in Arizona. The active blaze was extinguished by the time both Hildale/Colorado City and Fredonia Fire Departments arrived but the fire required extensive overhaul to ensure it was completely out, including extensions into the walls and attic. Any burning embers or hot spots left behind could potentially smolder and then rekindle at a later time. Firefighters overhaul a fire by opening walls, ceilings and voids checking for fire extension during firefighting operations once the active fire has been knocked down, or extinguished. This allows fire crews to find and extinguish any fire extensions left behind, including opening up any ceilings where the fire was most intense and working out from there, according to Fire Engineering.com. The residence sustained extensive fire and smoke damage “to much of the residence,” Barlow said, as well as the home’s contents, which were heavily damaged by smoke. Fire investigators determined that the fire was caused by clothing and laundry sitting against the base of the water heater, and once the material ignited, the fire began to spread. “There were no working smoke detectors in the home which could have proven disastrous had the fire occurred at night,” Barlow said. Emergency medical personnel remained on scene and assessed several individuals for smoke inhalation suffered while trying to fight the blaze before the fire department arrived. One man was assessed for possible injuries suffered when he fell off of the roof while attempting to ventilate the structure. No one was transported to the hospital, Barlow said. The Kaibab Paiute Fire Department, Kaibab Paiute housing personnel and neighbors initiated fire fighting efforts, and they were assisted by the Kane County Fire Department, Hildale/Colorado City Fire District and the Fredonia Fire Department in Arizona responding with 12 fire and medical units staffed by 22 volunteers providing mutual aid. Officers with the Bureau of Indian Affairs also responded and assisted with the scene. 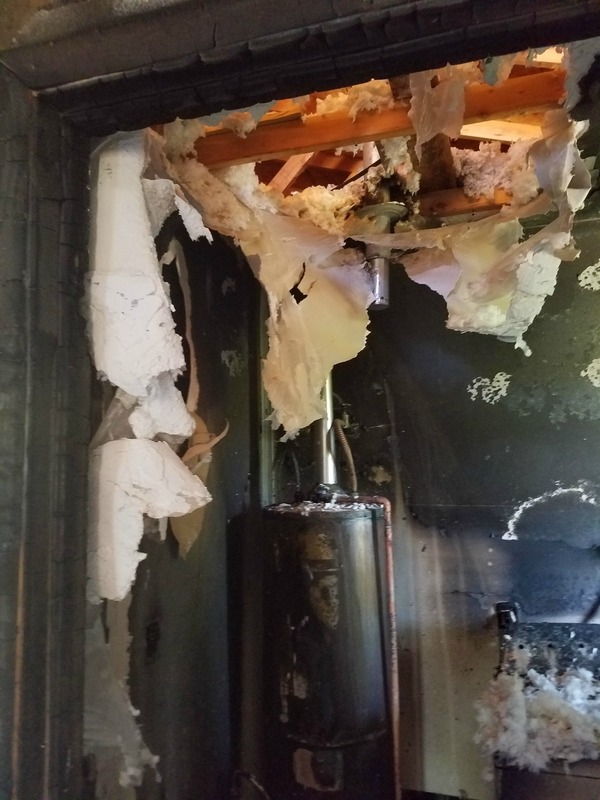 “The fire emphasizes the importance of maintaining good clearance around appliances. The fire department also reminds everyone that simply closing a door can deprive a fire of oxygen and prevent the fire from spreading,” Barlow said.